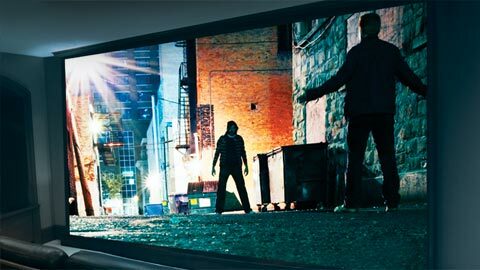 There’s a Sony ES projector for every type of room, from a media or living room to a super high-end dedicated home theater. 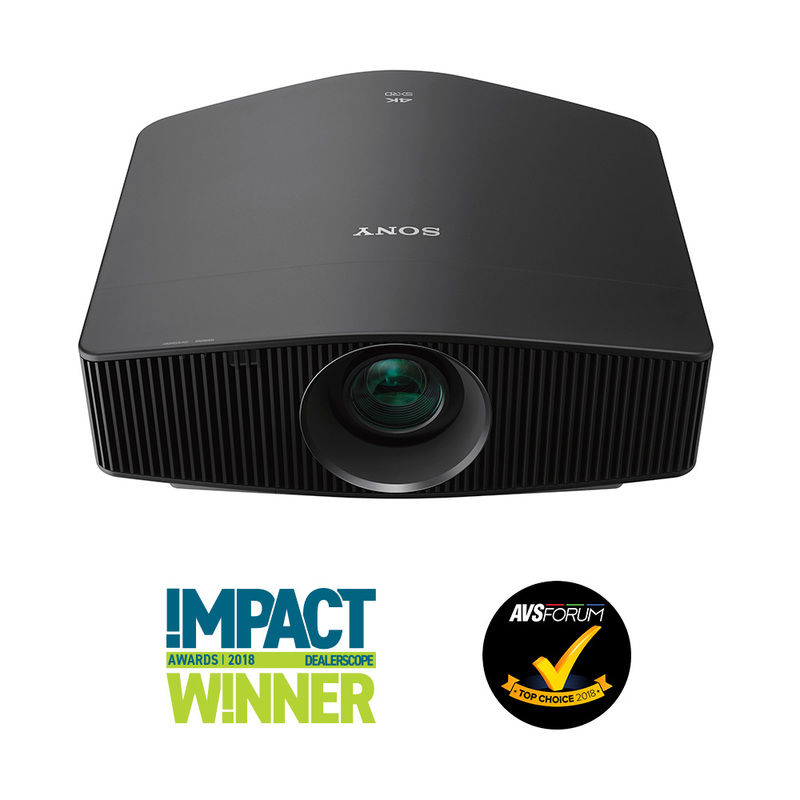 Sony 4K projectors are compatible with IMAX Enhanced content, making them ready to deliver the bigger, more breathtaking IMAX visuals you love in compatible content. 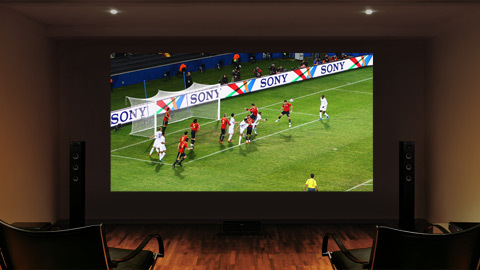 Take advantage of the size of your projector screen with movies that become even more immersive with IMAX Enhanced. 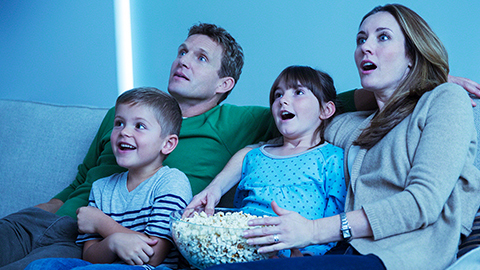 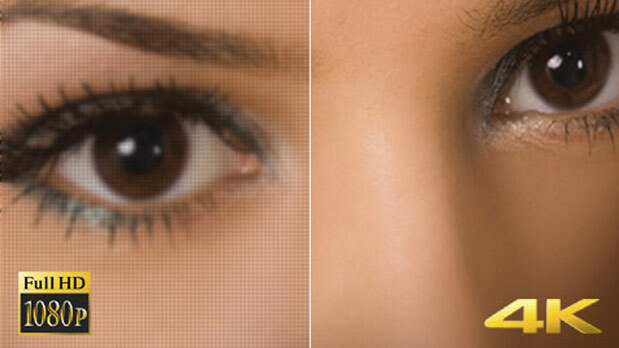 See more about IMAX Enhanced. 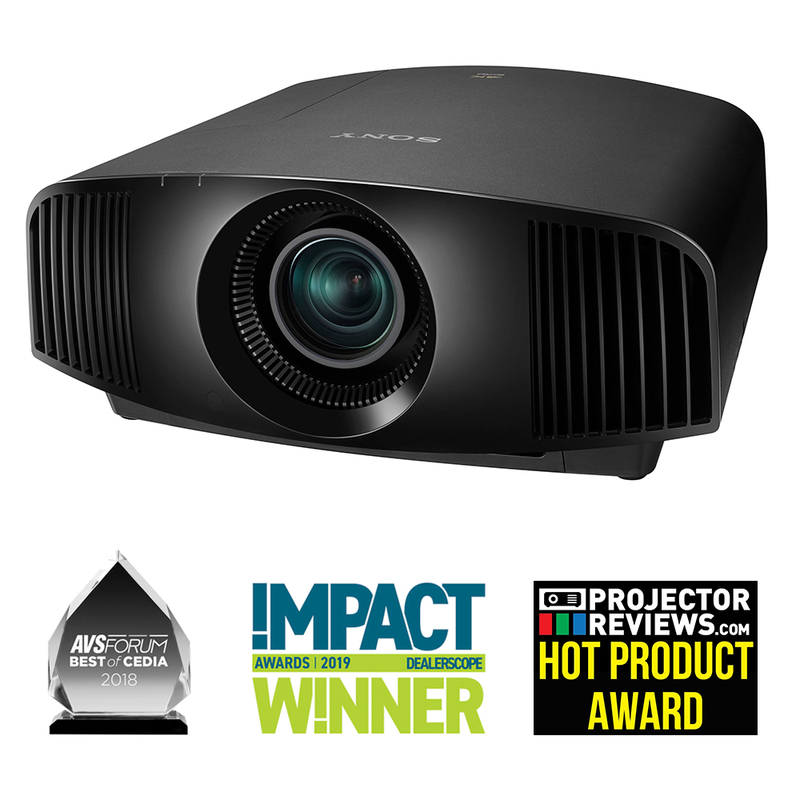 Sony sets the standard for home theater projectors when it comes to vibrant color, dynamic detail, subtle shadows, and pristine and polished HD. 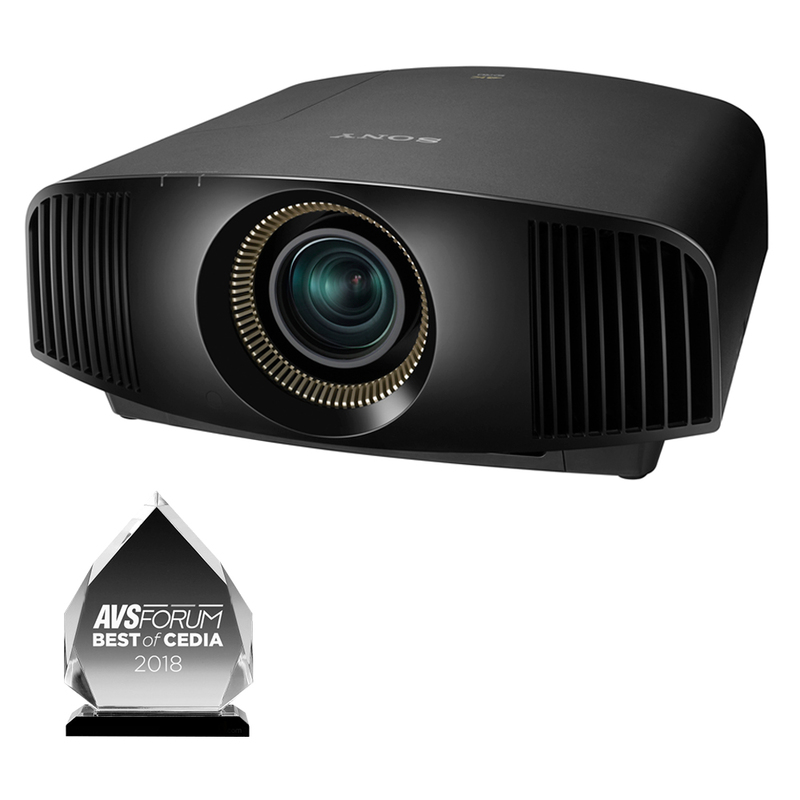 Sony projectors are designed to work flawlessly with leading third party automation systems by way of a bi-directional, industry-standard RS232 connection. 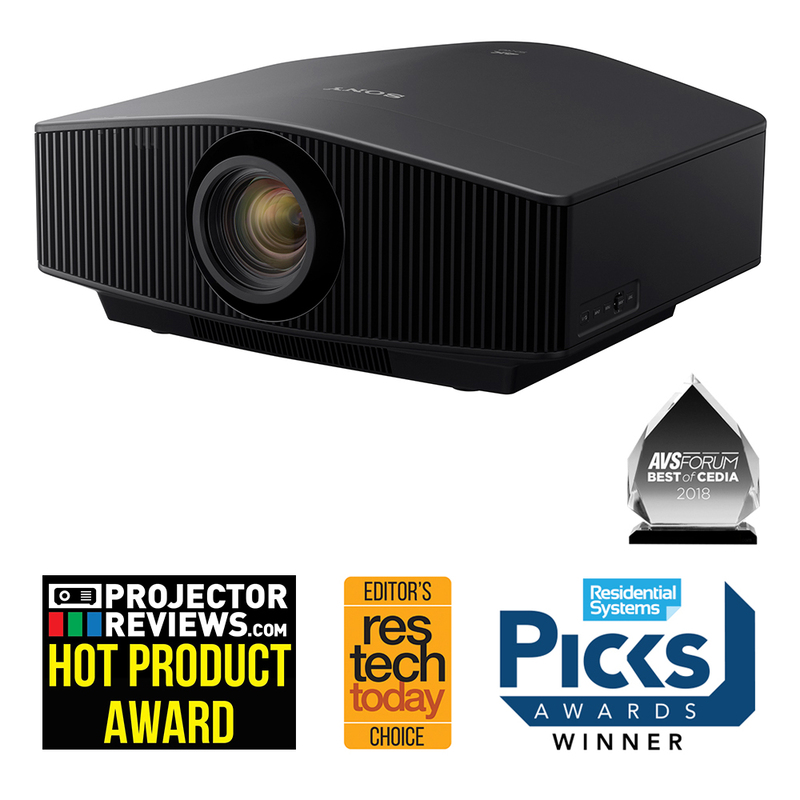 To find home projector models in the Simulator, select “Video Projector” at bottom of first input dropdown, then select specific model in dropdown to its right. 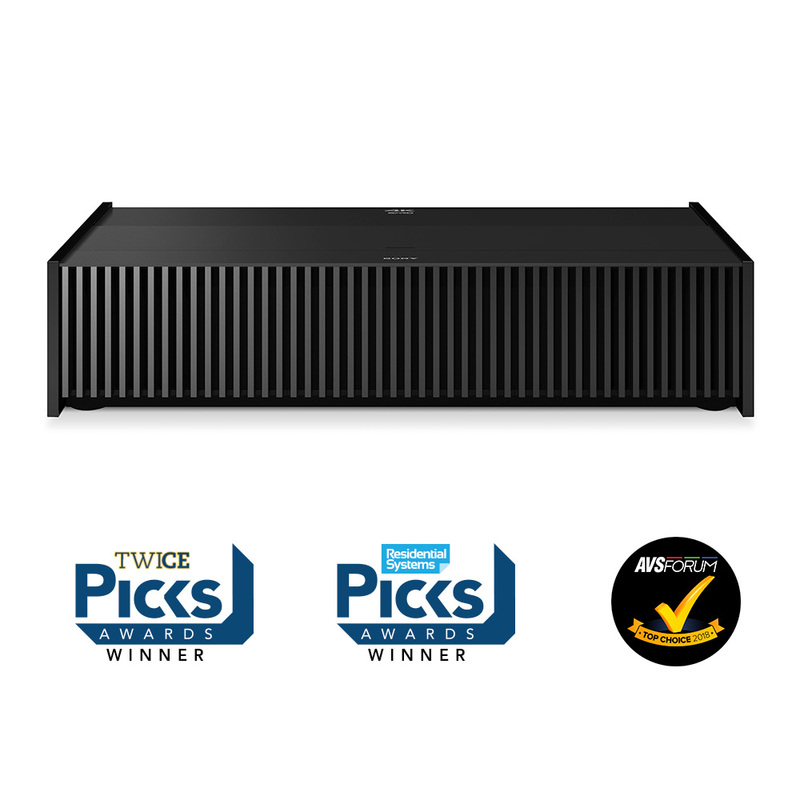 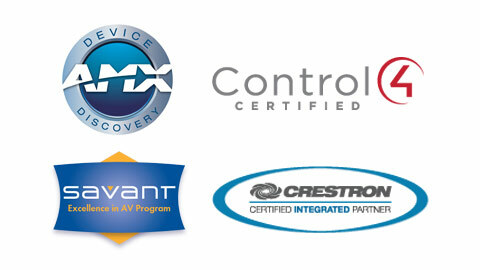 Sony’s VPL-VZ1000ES, VPL-VW995ES, VPL-VW885ES, VPL-VW695ES and VPL-VW295ES (shown respectively) took home more awards to add to our mantle.